Although Rodrigo wont fight that day (he was scheduled for the main event against Mir), he will be on his brother corner as always, helping him out in the best way he can. Both fighters seem 100% ready for this battle that will showcase the various disciplines of MMA! 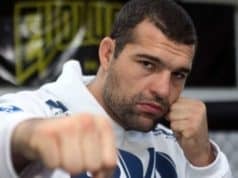 whats next for antonio rodgerio nogueira?